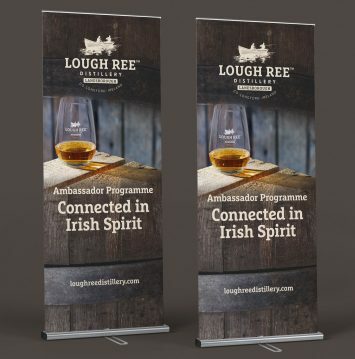 Lough Ree Distillery approached CUBE Design with a basic logo already in place, and asked us to build out the brand fro their Ambassador Programme from what existed as a brand. 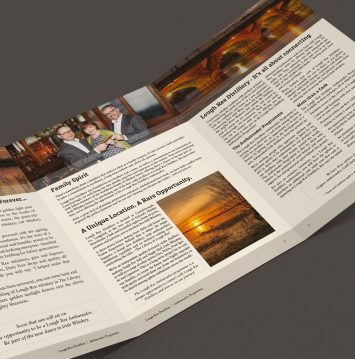 The target audience was those with an interest in whiskey, with cash to invest, alongside the Irish diaspora and larger businesses interested as corporate gifts to their clients. The brand was to be a fresh modern approach, but still tactile. 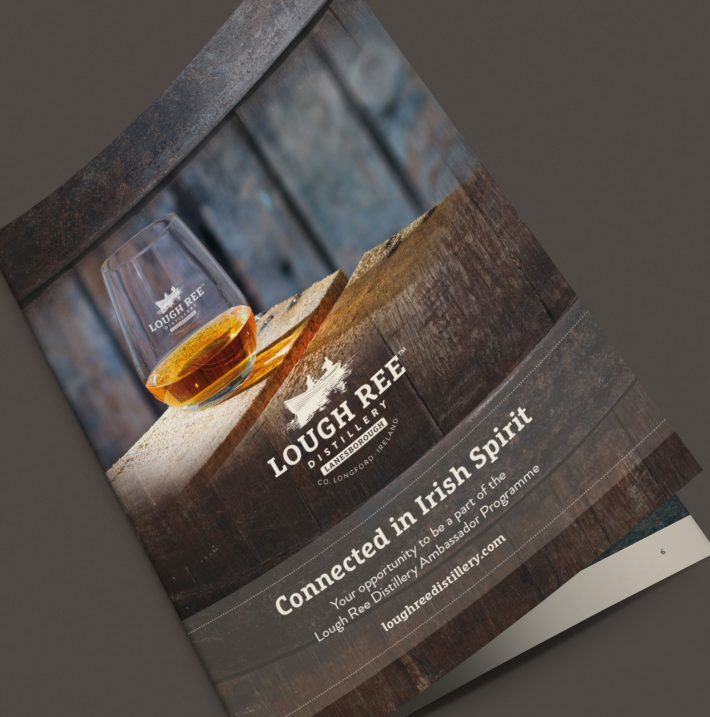 One of the tasks for CUBE Design to tackle was that there was no whiskey product yet as Lough Ree Distillery is a start up. By a photoshoot that we art directed, we came up with the image of the glass, and created a photocomposition with a cask, which is what the Ambassador Programme is all about - investing in your own cask.